Brown County State Park Saddle Barn offers guests a simple, leisurely horseback ride through the woods. Relax and enjoy the nature of Nashville, Indiana, on a beautiful, well-trained horse. Check our calendar to see our available times. 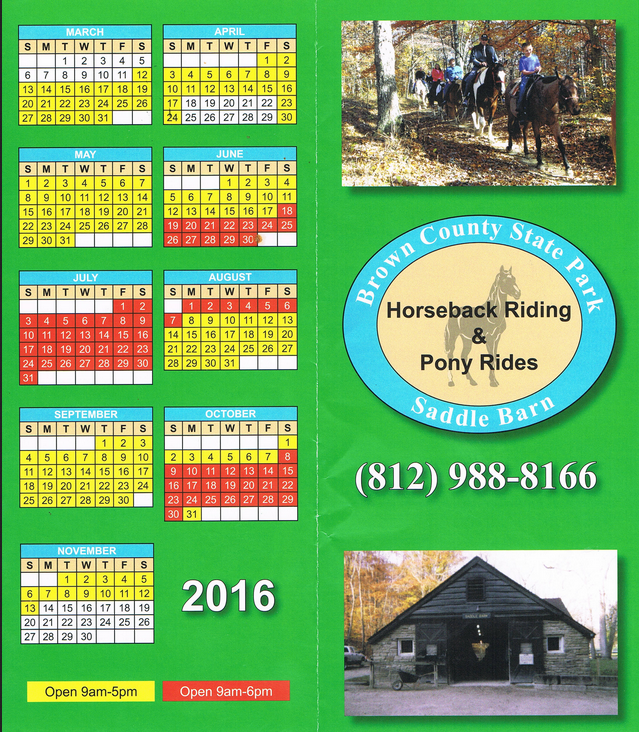 Whether you're vacationing, camping, or a local just looking for something to do, Brown County State Park Saddle Barn has the perfect activity for you. 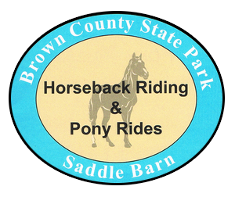 Our 35-minute trail ride is the best way for children and adults to see the sights of Brown County State Park. About half of this ride is done on the road and half in the woods. We love selecting the right horse for each guest by both size and personality. Even if you're nervous, we guarantee there is a horse for you. Learn the basics like how to stop and turn your horse, as well as how to go, while expert guides help you adjust your stirrups and make sure that you're comfortable and adjusted on the horse. Our hour-long trail ride is most appropriate for those with previous riding experience. If you enjoyed the 35-minute ride you'll love the hour ride. This scenic trail takes us deeper into the woods, where we'll stay for almost the entire ride with the exception of crossing the road. This is an ideal ride for couples, but families with children love it too. We offer the best rates in town with friendly, professional guides.